I know most of you, especially my Indonesian readers already know about this brand. Yap, Makarizo is one of the famous brand for hair care & treatment. 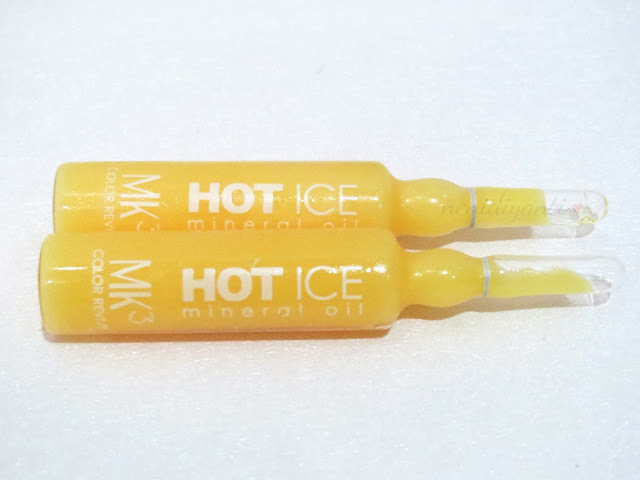 Makarizo HOT ICE Mineral Oil is a specific treatment for coloured hair. This product is under MK3 line, which is one of Makarizo Professional Line. 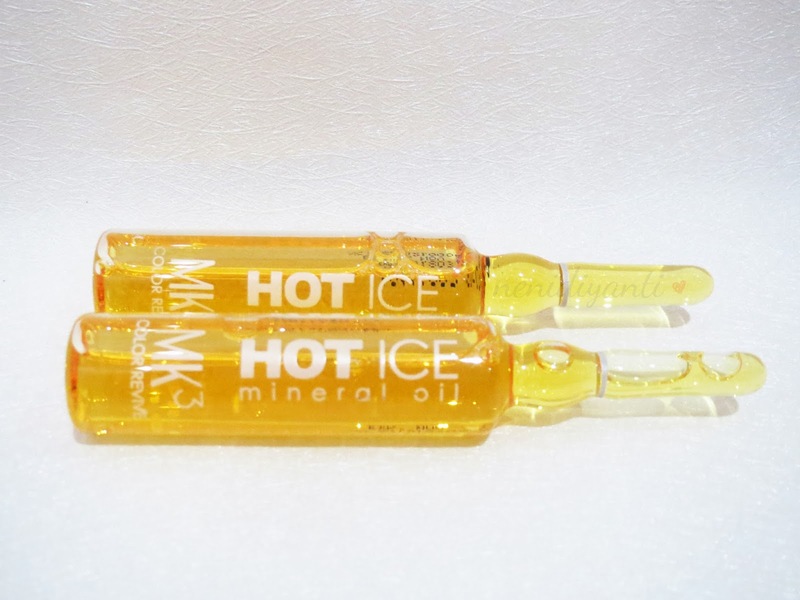 Contains mineral oil, HOT ICE serum will repair brittle hair shaft which have experienced hair colouring process. It will also increase the intensity of hair colour, making the colouring hair becomes more healthy, soft and shiny. It sounds such a great deal in mini size, right? And since I have coloured hair (which is my first time hair colouring process was done by Makarizo team - read : here), I think I should give it a try. Because finding a right treatment for coloured hair is as hard as finding a needle in a rick. So many saloons has a bunch of treatments for damaged hair, rebonding hair, curly hair, but for coloured hair they only have some, such as hair mask and creambath. None of them are a specific treatment for coloured hair. So, I'm feeling lucky to get a chance to try this HOT ICE Mineral Oil which specifically made for coloured hair. Pssttt... I'll reveal a magic that this hair serum can do. Store it in a refrigerator for a while and voila.. The HOT ones become the ICE ones. 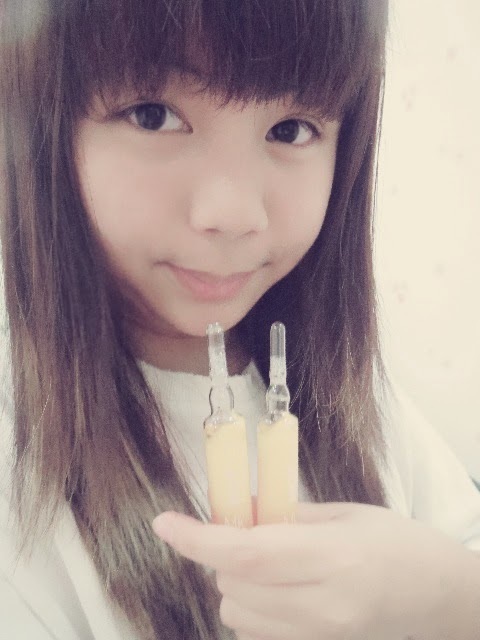 Wanna know one more magic that this serum can do? ?